The Crooked Billet operates as a dinner-theatre style restaurant; guests are seated at tables for a meal prior to the show. Food & drinks are offered 'extra' to the £27.50 ticket price - seats. Note: there is no fixed price or minimum charge for meal or drink, however you're encouraged to enjoy a delicious meal. Ordering these tickets ALSO confirms your table reservations for 7:00pm. Thanks for arriving promptly, enjoy your meal, and have a great time! 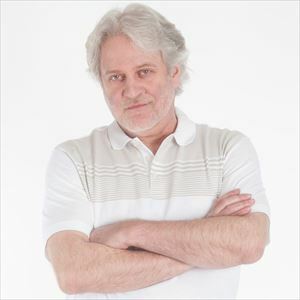 Hailed by critics and fans alike as a one of the finest songwriters of his generation, Dean Friedman has achieved legendary, pop-icon status for chart-topping hits, Ariel, Lucky Stars, Lydia, McDonald’s Girl and more. Following last year’s sold-out, 40th Anniversary Tour, Friedman returns to the stage armed with a stunning collection of his insightful and compelling, true-to-life ‘story songs’ - songs of pathos and humor that deal with family, friends, neighbors, work and the seemingly trivial, yet ultimately essential stuff of everyday life. In addition to his familiar radio hits, album releases and touring, Friedman composes and produces music soundtracks for TV and film, including the music to the hit Central TV series BOON, NBC’s Eerie Indiana, Nickelodeon’s Nick Arcade and the indie horror classic, ‘I Bought a Vampire Motorcycle’. He’s also published a respected tome on the art and craft of songwriting titled, ‘The Songwriter’s Handbook’, based on songwriting workshops and songwriting masterclasses he’s conducted at universities and music conservatories around the world, including L.I.P.A. (the Liverpool Institute for Performing Arts). A consummate entertainer, Friedman will be performing solo, on guitar and keyboard, featuring songs from throughout his four-decade career, including familiar, radio hits and fan favorites, drawn from his eight studio albums. Invite family and friends and join Friedman for an evening of powerful, poignant and hilarious songs about the ordinary and extraordinary lives we share.